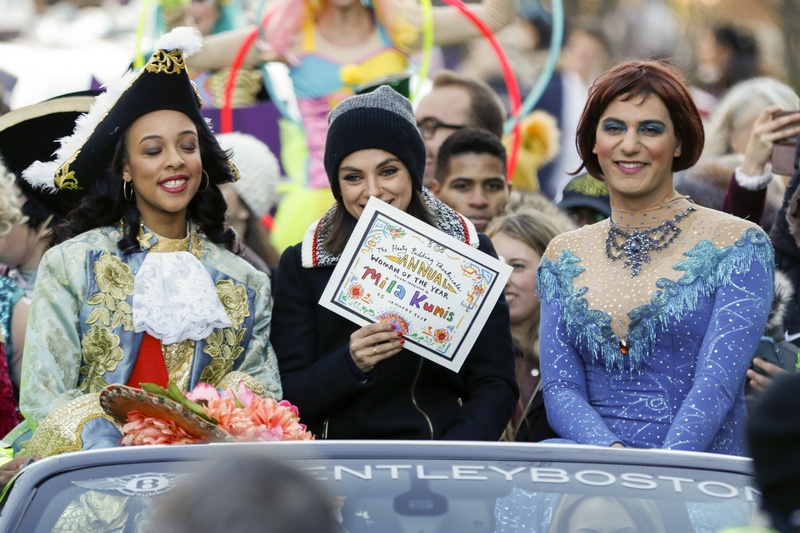 Mila Kunis, the Hasty Pudding Theatricals’ 2018 Woman of the Year, is a versatile actor. She played the lively Jackie in the television series “That ’70s Show,” voiced the lovingly awkward Meg Griffin on the classic sitcom “Family Guy,” and was the antagonist of the psychological horror film “Black Swan.” That adaptability played out in real life at the Woman of the Year festivities, as she weighed in on a range of heavy conversations during a day of lighthearted celebrations. During the press conference, Kunis reflected on her experiences being a part of an immigrant family. Kunis’s family immigrated from Ukraine when she was seven. According to her interview with The Telegraph, they only had $250, and Kunis spoke no English. She signed up for an acting class when she was nine, with her mother’s support, and landed a role in a Barbie commercial. Despite the gravity of the day’s themes, Kunis was all smiles at the parade in Cambridge, waving from a car with cast members of the Pudding Theatricals. At the celebratory roast, Kunis playfully pushed a donut into a Pudding cast members’ face in order to get her “Pudding Pot” as the Woman of the Year award. Heavy topics and big announcements aside, Kunis can have some fun, too. Later that day, Kunis kept her cool amid the backlash of accepting an award from the traditionally all-male casted theatre troupe. 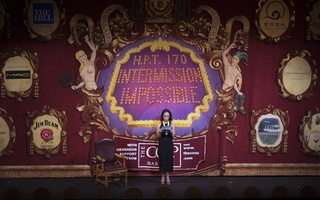 Before she was awarded her “Pudding Pot” on Thursday, the Hasty Pudding Theatricals President Amira T. Weeks ’18 made a historic announcement to allow women into their cast. Kunis stated her strong support for the policy change at the press conference following the roast celebration. “I wouldn’t be here otherwise,” she said. Kunis went on to say that lasting change against sexism in the workplace is happening, pointing to the tradition that the Pudding is breaking.